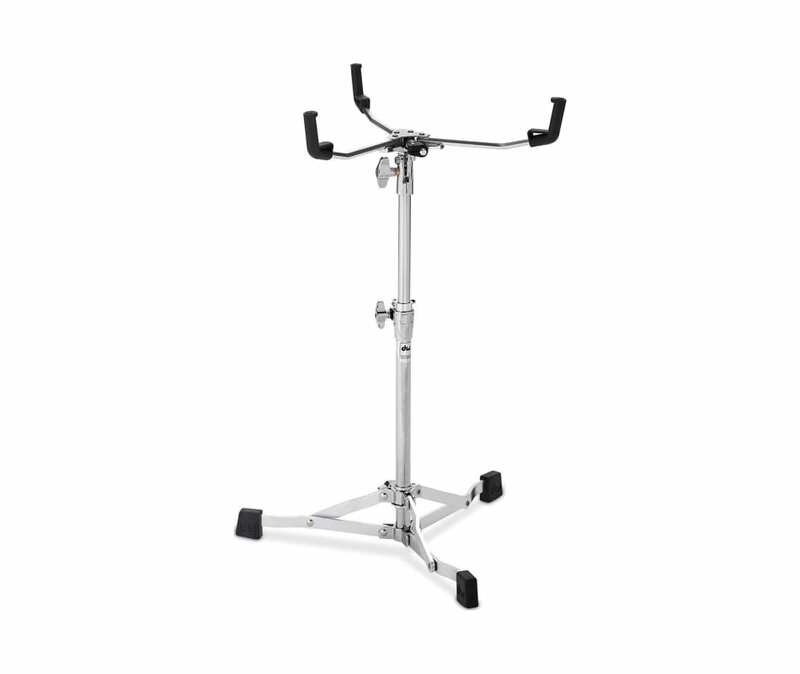 The DW 6300 Ultralight Snare Drum Stand was created for students, weekend drummers and working pros. The 6300 stand's performance upgrades and enhanced adjustability bring modern technology and manufacturing methods to a classic drum hardware design. The DW snare stand's vintage-style flush-base leg assembly and smaller diameter tubing provide a practical hardware option that is significantly lighter without sacrificing quality or performance. The snare stand is also equipped with an ultralight fine tilt adjustment and memory lock.